You will be astonished by the acceleration, top speed and fuel economy of Yanmar's new twin-turbo 8LV320 and 8LV370 diesel engines. You'll be just as impressed by the amazingly low noise levels and the smooth ride. 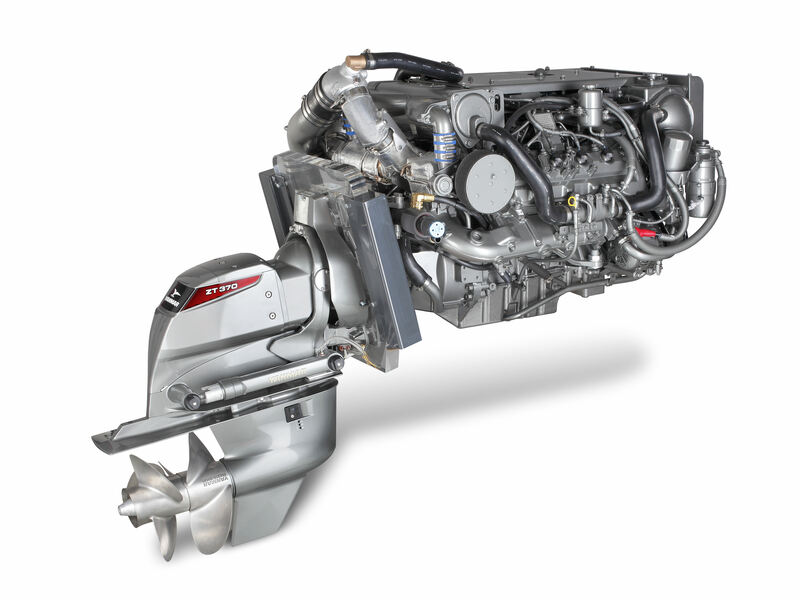 Add in all of those renowned Yanmar qualities of performance, reliability, durability and respect for nature and you have an engine that pushes marine standards to a new high. The 8LV is at the forefront of today's propulsion technology, providing the kind of high end performance associated with V8 petrol engines, but with all of the solid, long-life and cost-effective benefits of diesel. This V8 can be matched perfectly with Yanmar's latest twin-propeller sterndrive, the ZT370, or to a KMH50 inboard transmission.